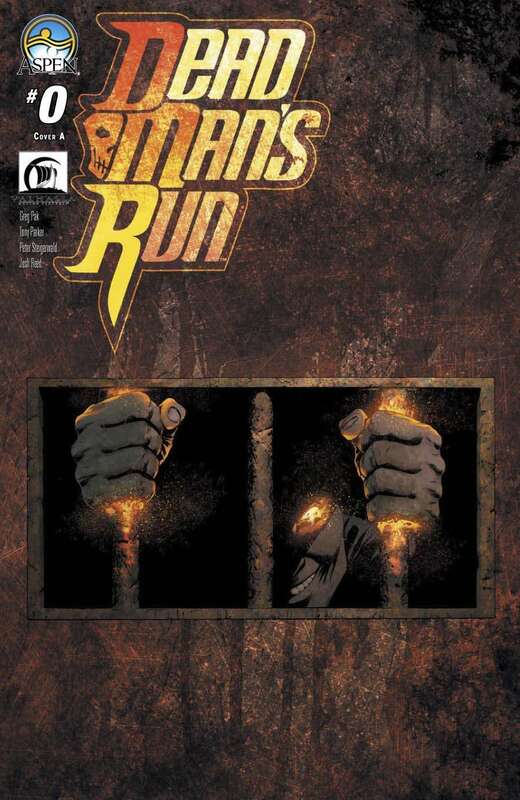 From acclaimed "Hulk" writer Greg Pak, legendary "Walking Dead" producer Gale Ann Hurd, and Tony Parker, penciller of the Eisner-nominated "Do Androids Dream of Electric Sheep", comes the blockbuster new series - DEAD MAN'S RUN! They call the prison "Hell." And they just might be right. The nation's toughest soldier heads into the world's most deadly maximum security lock-up and uncovers a world of terror and temptation beyond his darkest dreams. Featuring a brand-new story that sets the stage for DEAD MAN'S RUN #1, make sure to get in on the ground floor of this newest exciting Aspen hit series! Complete with an additional sketchbook section showcasing the astounding artwork of series artist Tony Parker, never before seen character designs and sketches, and surrounded by a stunning new cover, this special zero issue is definitely not to be missed!